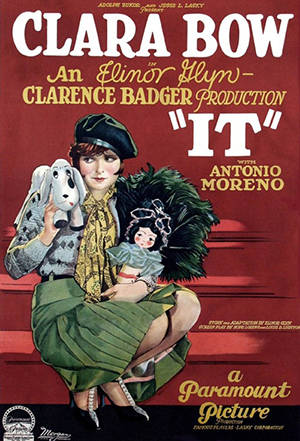 This illustration depends on one of the still photos for the movie "It" 1927 directed by Clarence G. Badger and Josef von Sternberg. The words "Where Do *You* Figure? The Prince Is Going To Be Our Best Man!" said by Clara Bow acted as Betty Lou Spence, the heroine to the wards "Let's Have A Double Wedding - You And Him - And Me And The Prince Of Wales!" by Dorothy Tree acted as Waltham Employee. 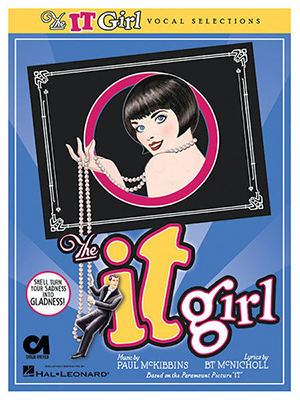 For the movie "It" 1927 directed by Clarence G. Badger and Josef von Sternberg was a big hit, the wards "It Girl" was born. 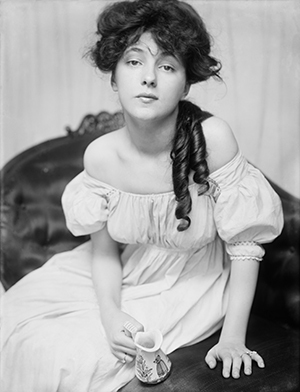 For example, Evelyn Nesbit was called "The Birth Of The It Girl". "Evelyn Nesbit About 1900 At A Time When She Was Brought To The Studio By Stanford White"
In 2001, the movie "It" 1927 directed by Clarence G. Badger and Josef von Sternberg was adapted for the musical "It Girl" by Michael Small, BT McNicholl and Paul McKibbins at The York Theatre Company, Off-Broadway. 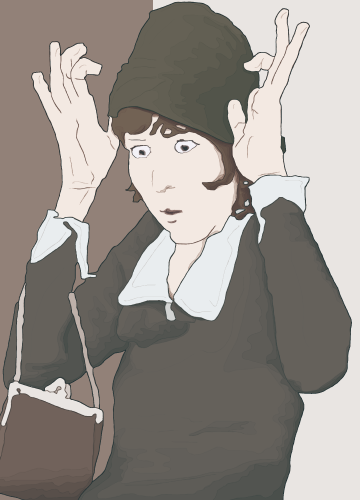 In the musical, Jean Louisa Kelly acted as Betty Lou Spence, the heroine. 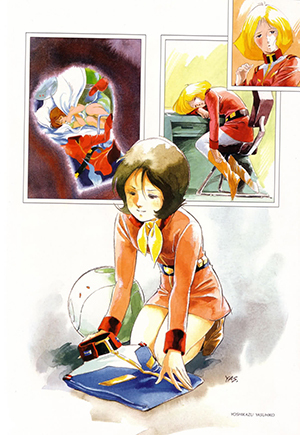 They said that Fraw Bow for the tv anime series "Mobile Suit Gundam " 1979-1980 directed by Yoshiyuki Tomino on NBN and tv anime series "Mobile Suit Zeta Gundam " 1985-1986 directed by Yoshiyuki Tomino on NBN was named after Clara Bow.